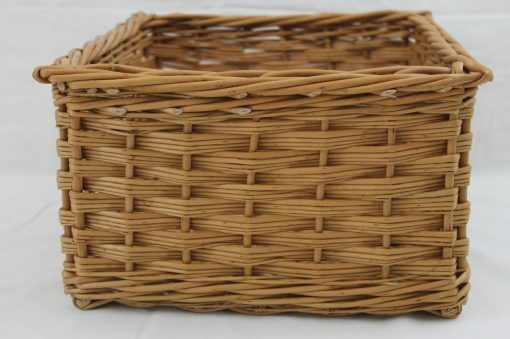 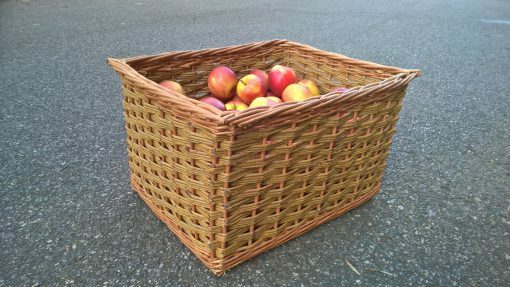 If you don’t require finger holes or handles to remove the basket from its location you might prefer the look of your baskets without any handles at all. Slewed weave uses several rods of willow at the same time to create a checkerboard pattern which can be continued up to any height – ideal for tall baskets! 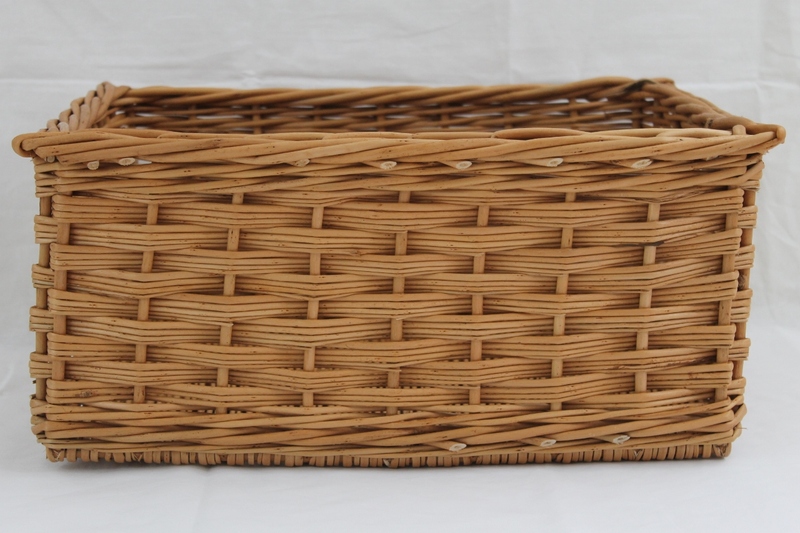 Randed weave can also be used for tall baskets, but it has to be built up in sections divided by a special row of weave known as a wale. 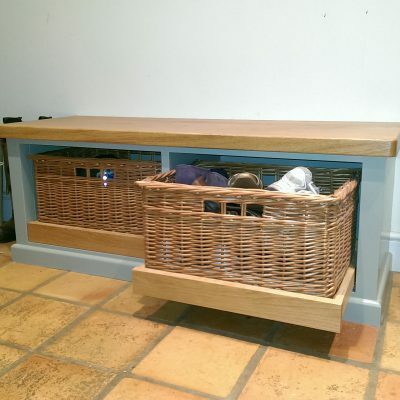 Slewed weave works well for kitchen or utility room baskets and log baskets. Together with a standard border you’ll have a strong and durable basket, ideal for everyday use and because slewed weave is quicker to work the price is a little less than randed. 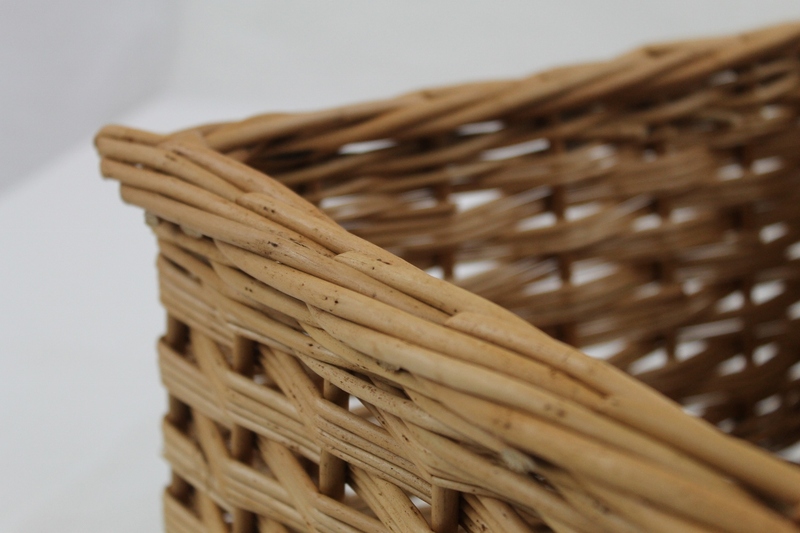 We recommend either all buff or buff with one of the other colours for kitchen and utility baskets because it is so hard-wearing. 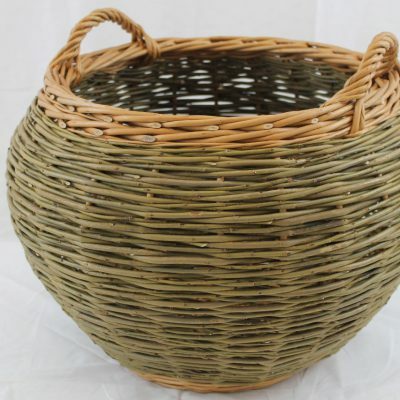 The willow colours page gives more information on the natural colours available, how they are produced and their properties. 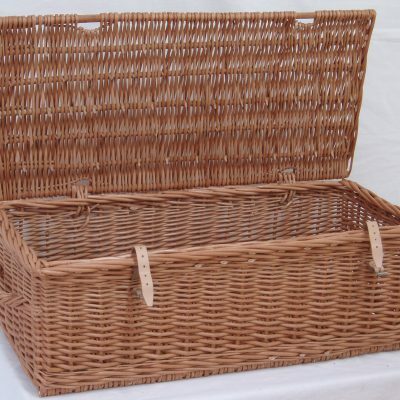 To start a conversation about your basket, or to get a quotation, just email Alison, or call on 01294 829012.